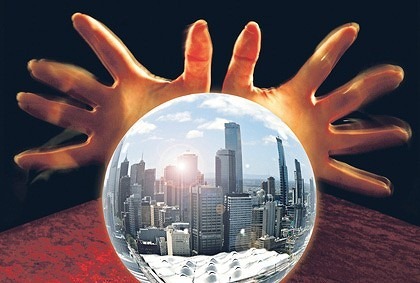 Predictions for your future are based upon many things. Your past actions, where you are currently in your life, who else is in your energy field, and what may already be in the works for you, and by reading what is already present and happening, most psychics and mediums can predict what’s to come for you. With information about your past, your personality, your general behavior given to them by your Guide Team, a medium can project out a prediction for what will happen for you, in the future. However, a prediction is a prediction. Just like a weather prediction, anything changes, and it all changes. Change your behavior, your emotions, your thought forms, your traditional pattern – and you change your future. Most often, simply receiving a reading, changes the course of your life. When you receive messages from Spirit that shine a light on some area that you haven’t seen clearly, you suddenly look upon that issue or person with new awareness. Suddenly, you watch, and you see. And your act of seeing alters the course of the situation or relationship that you are looking at. In her post about Quantum Theory and How It Can Affect Your Reading, she asserts that just getting a reading, you can change your course of action of your life on any particular issue. This idea is based on Quantum Theory, which asserts that by simply observing something (an electron), it changes how it acts. We’re made of a collection of electrons…and other atomic particles, btw. So, just by getting a reading on something, you can change how you would’ve acted, before you had that reading. Readings are meant to alter the course of action. You avoided it, you deflected it, or you changed your course or someone else’s, based on the information you got in that reading. isn’t it destined to be? Each and every one of us has a life purpose and path on which our soul will travel in this lifetime to learn lessons for our growth, these lessons can be learned in an exponential number of ways. If you change your behavior, move to new location, get a new career path – your guides and angels will simply arrange other scenarios for you to learn the same life’s lessons you would’ve learned, anyway. There can be an optimal path, sure – but this optimal path for you can manifest in many, many ways. If your future question involves more than one person, perhaps many people, if any of them change their patterns, behaviors, decision making styles, or life path – your future may also change. The more people that are involved in your future question, the more difficult it is to give you a concrete prediction – because there are more variables affecting your path. If something is meant for you to happen, you will often get information on that it will happen and tips on how to speed it’s happening along – however, we may not be able to tell you when it will happen. Those in Spirit, the voices behind those readings, no longer live in the physical realm. This means there is no time and when you leave Earth, that concept of time (the ‘when’ of your reading) is easily forgotten. Many mediums, including myself, will hear a number (such as 1, 2, 4) for when something will happen in a prediction reading, and a sense that whether it could be a month or a year, but less frequently do we receive a calendar date. Often, this is simply due to a spirit handicap, not a psychics’. also, let’s think about this. is it in your best interest to know the future? Consider this. At this very moment, your soul’s path entails you writing an internationally best selling book, but at current time, you feel self conscious about your writing and fearful that others will see it, and then reject you. Then, if you were told in a reading that you would be writing an international bestseller, in your risky emotional state, you may completely freak out and veer right off course …based on your fears. 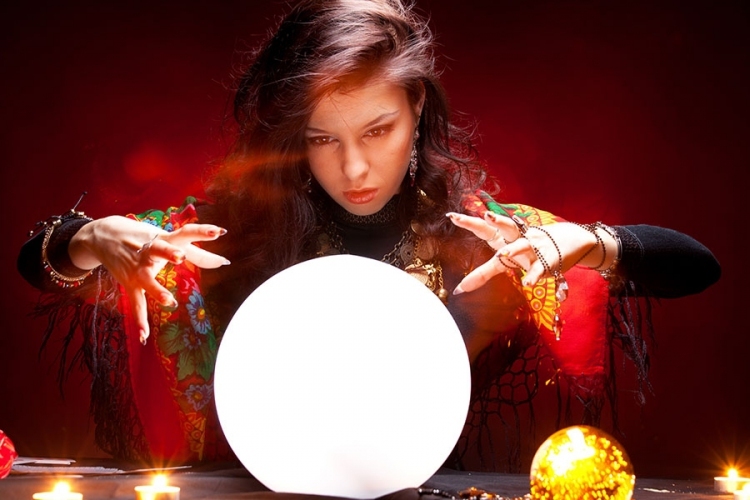 In a reading, most psychics only share information you are ready to hear. If you aren’t ready to hear it, your psychic may not get it, or they may and simply not deliver it, to you. If you aren’t ready, telling you something great happening in the future, it could ruin the outcome all together. So, why spoil the fun? Your future can be predicted. But remember: when you change, your future changes and sometimes, just by looking into an issue, you’ll change how you act on it, thereby, changing what happens from now – the time of your reading – on out. If your reading caused you to change your action in any way, then your psychic did their job. They delivered a message you needed to hear, that forever changed the outcome of your life. And that’s the whole point of a quality, meaningful reading. Job well done, psychic…job well done. What Has Been Predicted For 2018?